This agreement and each Term of use shall be governed by and constructed in accordance with the laws of England and Wales without reference to conflict of laws principles and disputes arising in relation hereto shall be subject to the exclusive jurisdiction of the courts of London. Cinema and Event tickets may be purchased through the IndianMovieFriend using a credit or debit card and Paypal approved by us. By placing an order for tickets through the Site or the Booking Line, you are making a request to book tickets for the relevant performance subject to these Ticket Terms. Please note that this does not mean that your request has been accepted. We will only be bound by an on-line booking through the Site once we have processed your payment and we have sent an email to you confirming your booking. Ticket prices relate to the screening you wish to attend, not the day or time at which you purchase your ticket. Tickets are sold at the price displayed on the Site for the relevant film and showing time. All prices and fees include any applicable value added tax. To make any payment by credit/debit/charge card, Paypal the User must provide the cardholder's name and email address, the card number, the card security code, the card expiry date and (where applicable) the card start date and/or issue number. Tickets are subject to availability and are non-refundable. We will not be responsible in the event that you make an error when purchasing your tickets through the Site (including but not limited to selecting the wrong film or the wrong number of tickets). Please check that your selection is correct before confirming the booking as tickets cannot be exchanged or refunded at a later stage. Lost, stolen or damaged tickets will not be replaced. Seating is unallocated unless otherwise specified at the point of purchase. Where seating is allocated at the time of booking, we will endeavour to ensure that you are provided with the seat that you have booked. However, we cannot guarantee the seating allocation and shall reserve the right to make changes at our discretion. For all tickets purchased through the Site or the Booking Line, a fee for booking your ticket(s) remotely is payable in addition to the ticket price. This will be clearly notified to you during the booking process. The total amount payable will be displayed as the headline ticket price inclusive of the booking fee. By sending a request to book tickets, you agree to pay the booking fee in addition to the ticket price. The user will be notified at the time of purchase if he/she needs to present card used for booking in order to collect the cinema ticket from the relevant cinema. The Website may contain links to other websites ("Linked Sites"). The Linked Sites are not under the control of MoviEmsee Limited or the Website and MoviEmsee Limited is not responsible for the contents of any Linked Site, including without limitation any link contained in a Linked Site, or any changes or updates to a Linked Site. MoviEmsee Limited is providing these links to the User only as a convenience, and the inclusion of any link does not imply endorsement by MoviEmsee Limited or the Website of the Linked Sites or any association with its operators or owners including the legal heirs or assigns thereof. MoviEmsee Limited is not responsible for any errors, omissions or representations on any Linked Site. We do not endorse any advertiser on any Linked Site in any manner. The Users are requested to verify the accuracy of all information on their own before undertaking any reliance on such information. 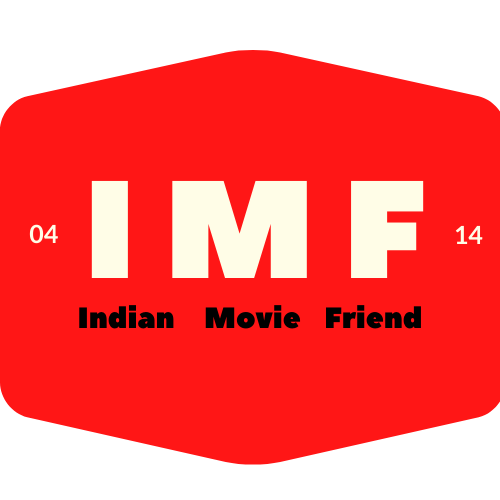 IndianMovieFriend accepts Visa, MasterCard, American Express, select Debit Cards and Paypal. Other payment methods may be added from time to time. We act as the agent to those who are promoting the events for which you purchase tickets ("Event Organizer") and for movie halls (Cinemas). 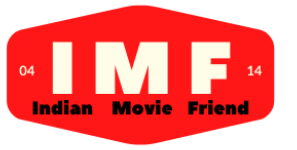 When you purchase a ticket for an event/movie, IndianMovieFirend will be handling the transaction and collecting payment for the organizer/Cinema IndianMovieFirend sells tickets on behalf of Event organizers/Cinemas and does not control the inventory or its availability and pricing. The transaction will be shown in the name of MoviEmsee Limited on user’s credit/debit card statement. All transaction details, including payment card details, are encrypted using Secure Sockets Layer. Further, SSL seeks to ensure that bank details are never transmitted in clear text through the IndianMovieFriend booking system. MoviEmsee limited reserves all the rights to refund the ticket price according to the condition and situation of the reason of the refund. In the event that the ticket booked through the website is not accepted at the cinema due to any appropriate reason (double booking at the cinema), the customer will be offered the full refund for his ticket price paid excluding booking charges. Customer will be given the option to book another ticket having same ticket price at other time at the same or different cinema if not accepted he will get the refund according to Moviemsee Ltd discretion.